This is the fourth volume in a ground-breaking series of studies of medieval translation theory and practice. These essays represent exciting new work in the important and expanding field of translation studies. They range widely across a variety of literary works of the European Middle Ages and variously invite the reader to situate specific examples of medieval translational practice in a wider cultural and historical frame, by exploring such issues as gender, ethnic identity and medieval authorship. It is in the Middle Ages that translation first becomes a self-conscious process; and translation is at the heart of medieval culture. But just as no medievalist can escape involvement in Translation Studies, no student of Translation Studies should be able to ignore the medieval contribution to the subject ... While the study of translation may be a focus for the study of power relations and the rest, it is worth remembering many translators love what they translate. All the contributors here are sensitive to the wider issues their work might imply, and what is striking in the best of them is the sympathy with which they approach texts that were after all concerned as something other than academic exercises. Roger Ellis is a senior lecturer in English at the University of Cardiff. 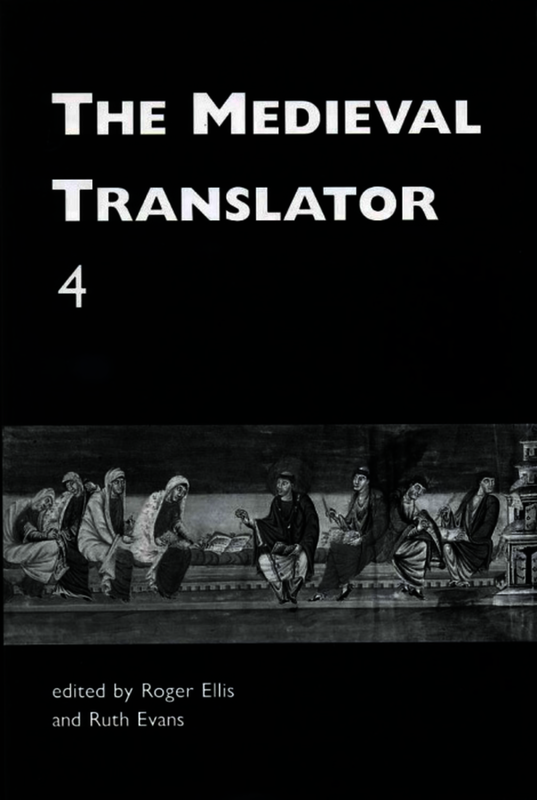 Since 1987 he has organised conferences on the theory and practice of translation in the Middle Ages and is editor of volumes 1–6 of The Medieval Translator. Ruth Evans is Lecturer in English Literature, University of Wales, College of Cardiff. She has published articles on medieval drama, medieval translation, and courtly literature and is co-editor of The Wife of Bath and All Her Sect (1993), a collection of feminist re-readings of medieval texts.